You can't improve what you can't measure. That's why PSS clients succeed using a culture of standards and assessments. 1. UP Plasencia: Federation Champs for thefirst time in its 75-year history! UP Plasencia's strategic plan for the 2017-18 Spanish Federation 3rd Division season is ambitions but attainable. So far each short term objective has been attained on the field. But it is the work off the field that is making it all come true. A well balanced strategic plan with measurable initiatives are helping this organization reach goals never before possible, including becoming Federation Champions for the first time in its 75 year history. UP Plasencia is restructuring its internal processes; adopting a fan-centrist approach to improving business practices; aligning their financial objectives to all their business perspectives; and using people as their foundation for excellence. Each and everyone in the organization is on board with the new plan, creating a culture of measurement and accountability both on and off the field. The theme song that the federation chose as background for UP Plasencia championship announcement was Extremaduro's"El Camino de las Utopías" or "The Path To Utopias," could not be more perfect to describe the journey UP Plasencia is taking with their new strategy. No podía haber elegido mejor banda sonora la @FedExFutbol para la edición del vídeo q "El camino de las utopías" de #Robe. UP Plasencia has launched a marketing campaign, as part of their initiative to reach the ambitious goal of promotion to 2nd Division B in their upcoming 2017-18 Spanish Federation 3rd Division season. Press Director, Pedro Cordero, was the initiative architect and the person in charge of roll out. Cordero and UPP President, Ruben Hernandez, kicked off the campaign with a press conference to unveil the team's new and improved website, siempreupp.com. The press conference was a prelude to the launch of their #solofaltastu season tickets and team membership campaign. UPP plans to maximize their outreach by taking advantage of their new social media tools, but they don't neglect the use of good old technology. The team has worked with the city government to display their campaign signage on public buses. UPP is implementing their new marketing campaign using superior knowledge about fans, sponsors, competition and the media, and it is paying off. Fans are utilizing the website to sign up for season tickets, the press is covering the team almost daily and everyone is enjoying friction-free change. 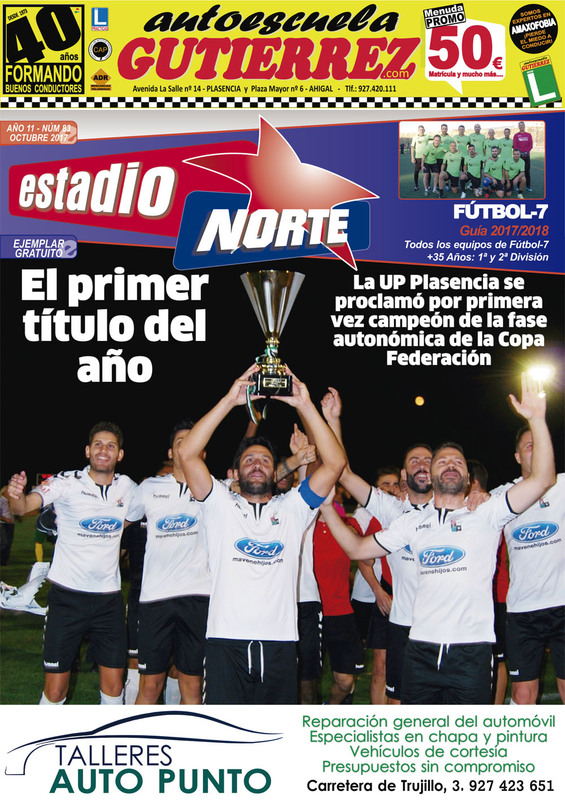 "New UP Plasencia's signings arrive with 2nd B Division promotion on their mind"
Everyone in Plasencia will have visual access to UPP's season ticket campaign online and on line for the bus. "There is no such thing as bad press." Whoever said that never had to do damage control for a client. Media relations are key to the success of any enterprise, and especially in sports. According to a Forbe's article, Media Relation Still Important, it goes without saying that public relations is far more complicated than it ever used to be. It now involves orchestration, big ideas, communication skills and true strategic thinking. Moving at the speed of light is the new normal. In other words, media relations has transformed. While traditional TV, radio and written press don't have the power they used to have on how the public consumes news, they are still relevant. UP Plasencia's change management team recognized this during their strategic planning development talks and designed initiatives to remain relevant on the airwaves and written press. Perhaps the best thing UPP has done is to make sure that their staff and board members understand the concept of newsworthy information. Every piece of intelligence shared with the press is meaningful and sophisticated. and that one keeps his king." How can teams manage positive change and utilize disruptive technology without disrupting their fan's comfort levels? The answer relies in being conscious about their clients' needs and wants. In professional football this can be a bit complicated. Teams need to be mindful of the needs and wants of the fans, academy team parents, media, government, internal clients, and sponsors. UPP change architects understand that being right at the wrong time is no different than being wrong. Thus, they developed an initiative to ensure that all new player signings are well balanced with current players who possess the institutional knowledge needed, as well as academy player hires that stay true to their team values. All of this is done to align their action plan to achieve the ideal team to reach playoffs in the 2017-18 season. So far being right at the right time is paying off and their fans are responding positively to this year's new campaign, player contract extensions and new signings.